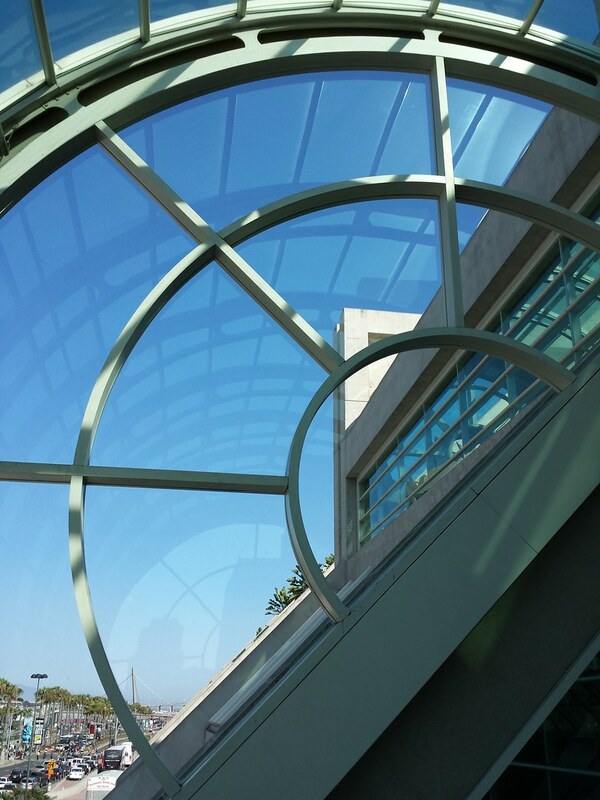 Partway down the central escalator at the San Diego Convention center, you can look down the long cylindrical skylight that makes up the roof of the lobby, rings forming the appearance of concentric circles. Years ago, a friend of mine referred to it as the Death Star Cannon shot, and it’s a popular one to take, both during Comic Con and at other events. 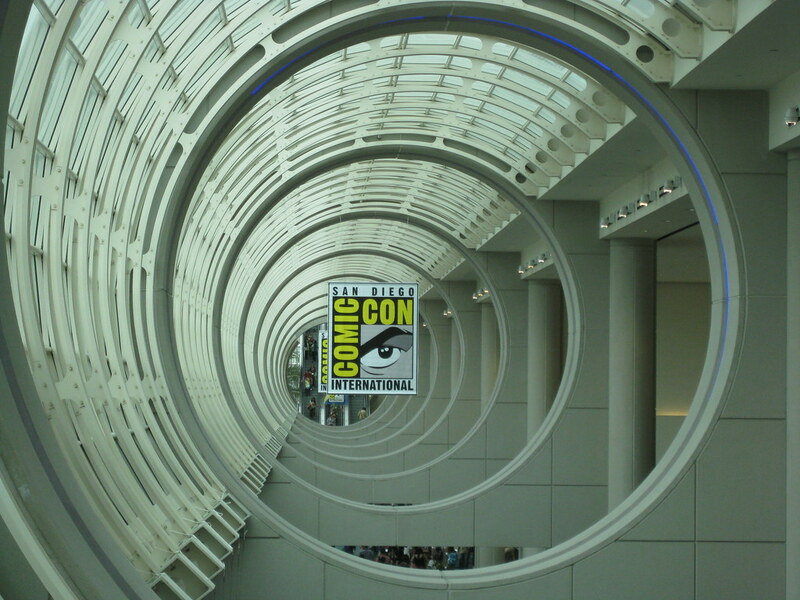 At this year’s Comic-Con International, I found myself looking at the windows surrounding the stairs instead. My first thought was to mix things up with the classic cannon shot, but when I got home and looked at the results, I realized: This really does resemble the windows in the Emperor’s throne room. It’s still a Death Star shot, but a different part of the station! 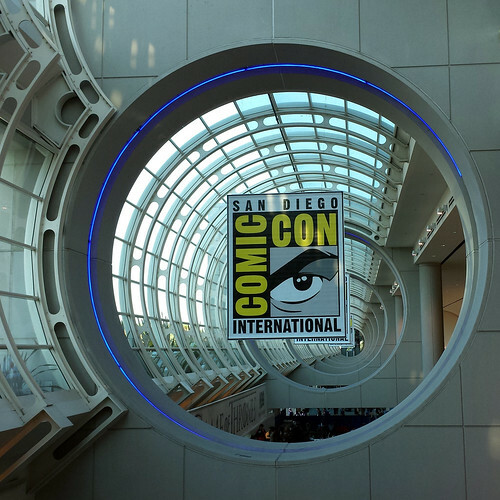 If you’d like to see more photos or read more about my experience at the convention, check out I Survived Comic-Con 2013 at K-Squared Ramblings. Comic-Con International sold out this weekend. The convention isn’t until July, which makes the January sell-out surprising enough…but tickets didn’t even go on sale until this past Saturday, and were all gone by the end of the day! In past years, tickets haven’t been a problem. This year, they’ve become as hard to get as convention-rate hotel rooms. And those? The con hasn’t even announced when they’re going on sale. 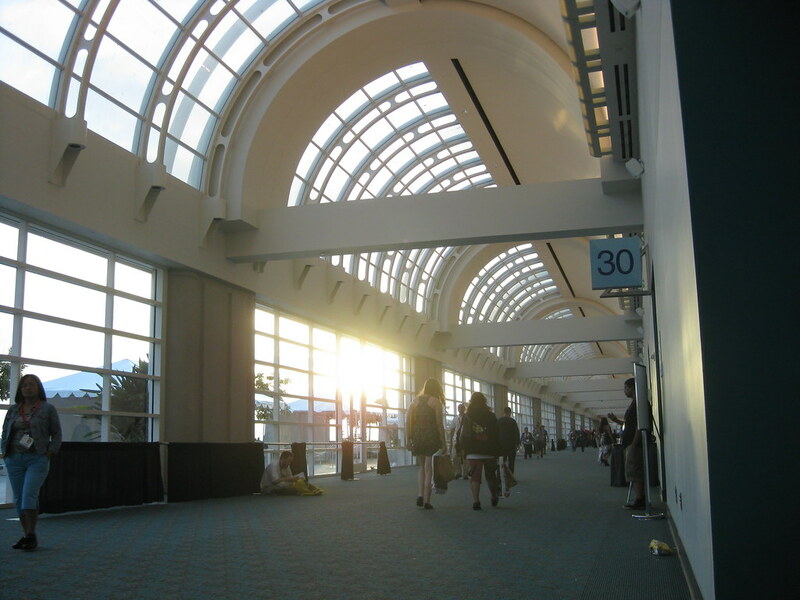 This is the view from one of the escalators in the San Diego Convention Center lobby. One of my friends once referred to it as the “Death Star Cannon” view, inspired by the shot of the inside of the cannon firing near the end of Star Wars. How to Get a Hotel for Comic-Con. Taken on a clear October day during the 2010 Adobe MAX tech conference. This building is brought to you by the letter e.
It’s the Anaheim Convention Center again, taken during Anaheim Comic-Con 2010. 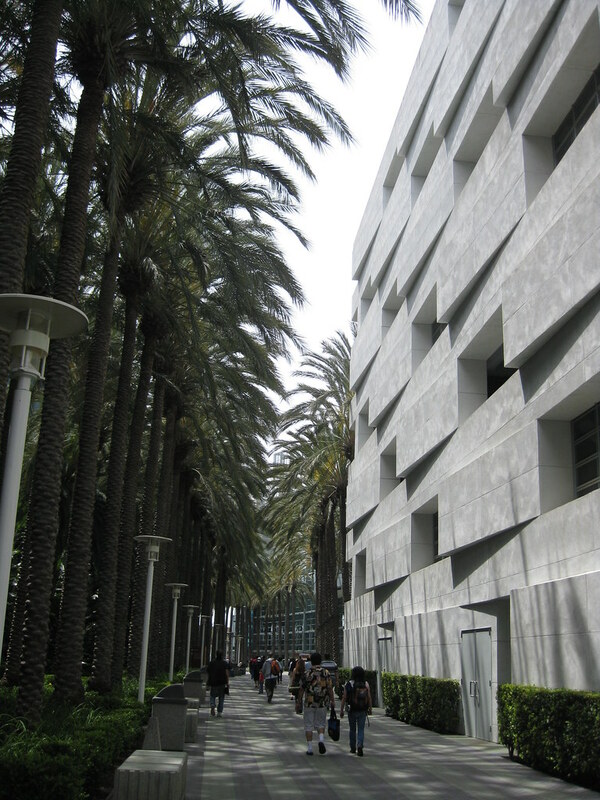 The walkway between the Hilton Anaheim and the Anaheim Convention Center. 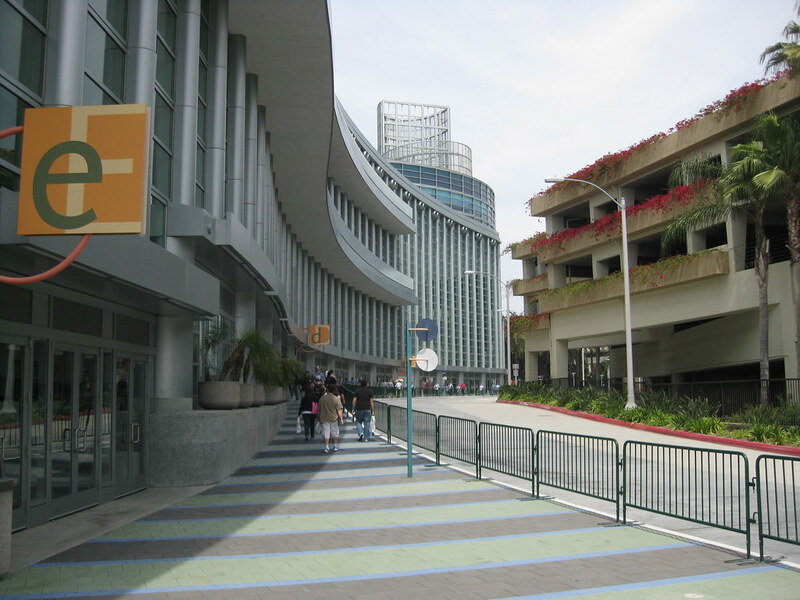 The blocky wall to the right is a large area full of staircases at one end of the convention center. Taken this past April, during Anaheim Comic Con. The convention center was also host to a much larger coffee convention. Viewed from the Omni Hotel across the street. Taken during a weekend trip to San Diego. You can also see a daytime view. 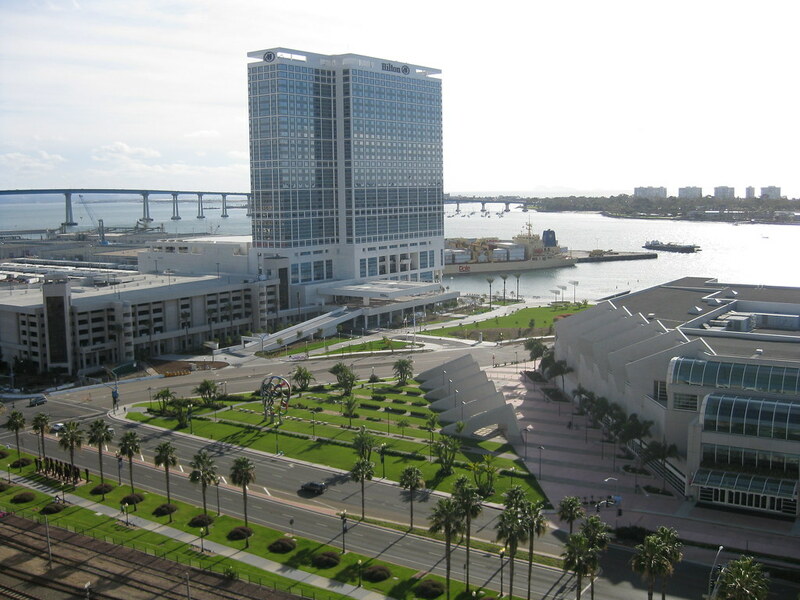 Update: You may be interested in my tips on how to get a hotel for Comic-Con. 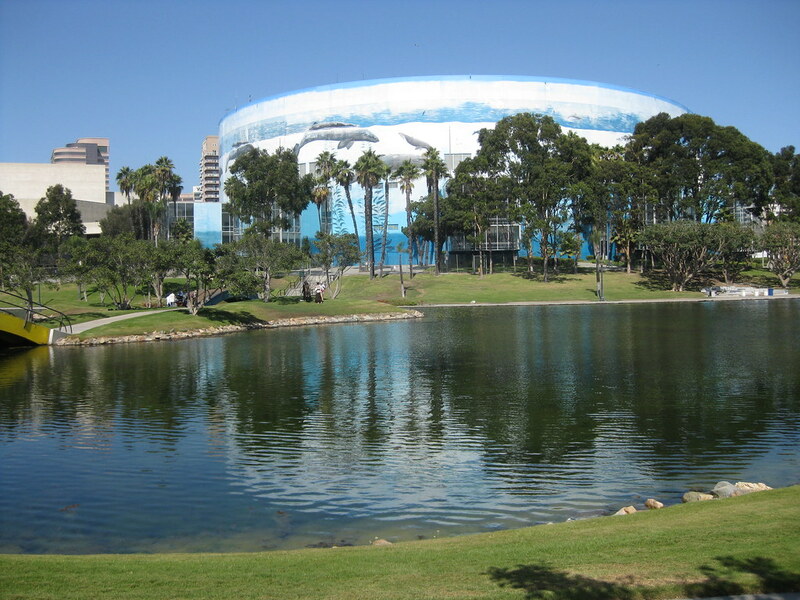 An artificial lagoon on the seaward side of the Long Beach Convention Center. 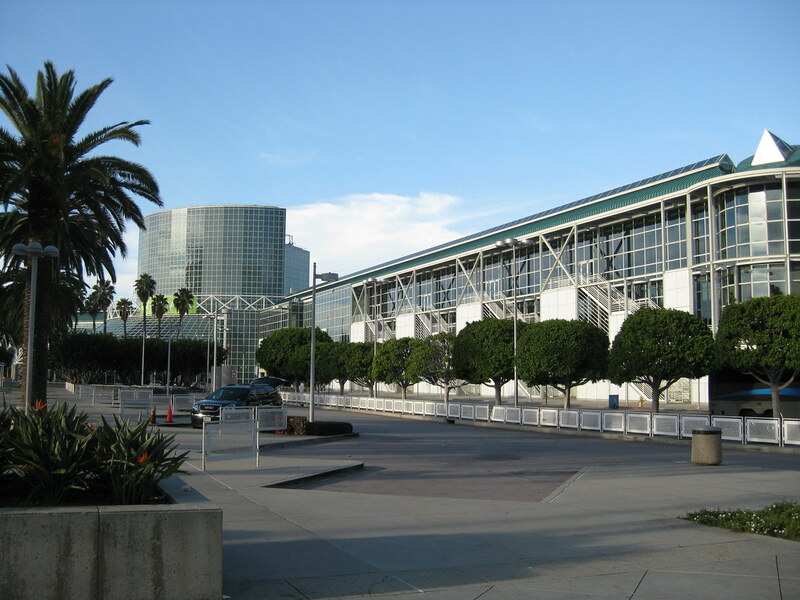 I was there this past Saturday for the first Long Beach Comic Con and did some sightseeing. I’ve got more photos, both of the convention and sightseeing, and a write-up of the con. 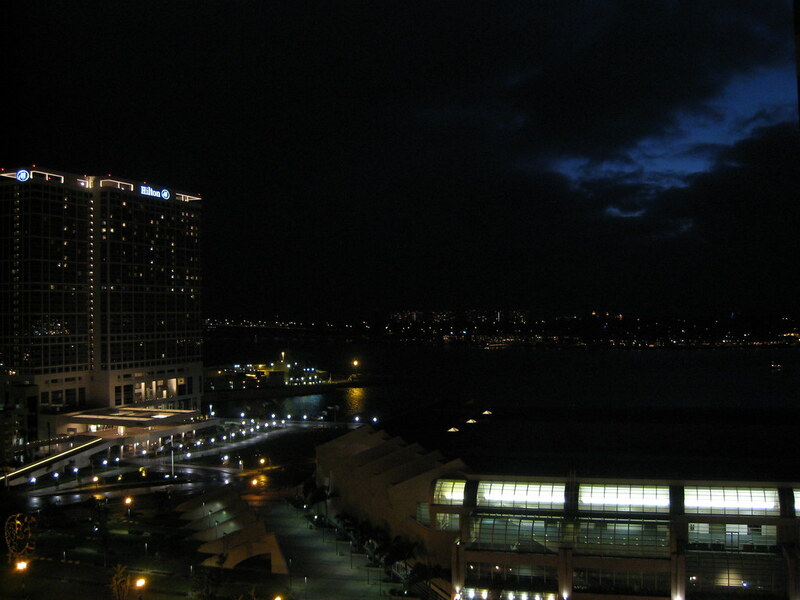 Viewed from the Omni Hotel across the street, taken during a weekend trip to San Diego. Same viewpoint as this night photo. Now, imagine that lawn area full of people waiting to get into a Comic-Con presentation.